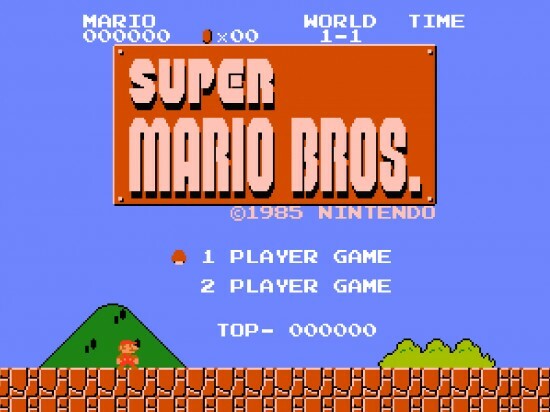 Most of us can look back and remember the glory days of video games. Before memory cards. Before hi-res 3D models. Back when you had to blow the dust out of the cartridge to get it to turn on. Back to the NES. The Nintendo Entertainment System. It’s been almost fifteen years since the last NES cartridge was produced. Many college kids break out their old systems and play the classics like Super Mario Bros. and Dunk Hunt still to this day. But someone felt like giving the old system one last try. Sivak Games brings Battle Kid: Fortress of Peril to the NES. True to its 8-Bit ancestors, Battle Kid puts a simple protagonist against overwhelming odds in this platform adventure as players must navigate through the game’s more than 550 rooms. For a mere $30, players can order the slick see through green cartridge complete with classic black slip case and instruction manual just like we remember begging our parents to buy us back in the days of our youth from RetroZone. Quantities may be limited. Anyone who comes to this site knows we love to pass along anything that touches the bottom of our geek hearts. Many times, these come in the way of fan films. But today it’s a special treat with a free PC game. Through his website Eric Ruth Games, a developer has posted his portfolio of 8-Bit style games which includes, you guessed it, a classic NES style version of 2008’s megahit, Left 4 Dead. Entitled Pixel Force: Left 4 Dead, players step in to an 8-bit version of the four original campaigns of L4D. Either single or two player from one keyboard (sorry, no XBox Live or Steam connectivity here), gamers get to take a peek at what this genre defining game would have looked like had it come out twenty years ago in the days before graphics accelerators and first person shooters.